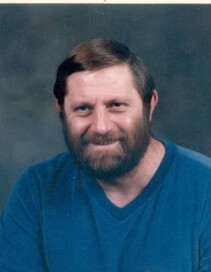 Charles “Charlie” Bentley, 73, of Falls City, NE, passed away February 7, 2019 at Falls City. He was born on a farm northeast of Barada to Ernest and Lena (Palmer) Bentley. He married Jean Fisher and they were later divorced. He then married Carol McCann on December 20, 1973 at Auburn, NE. Charlie was raised on a farm northeast of Barada, NE in what is now Indian Cave State Park. He attended several one room country schools, Shubert School and Falls City High School. He worked at Frontier Homes for a short time in the early ‘60’s and on September 21, 1964 he began work for the Falls City Water and Light Department, retiring in 2013 after 49.2 years of service to the community. He also operated a part-time tree service for over 30 years. He was currently serving as a Falls City Councilman since December of 2016. He loved his gifts from God, wife Carol, kids, grandkids, especially Hannah, Brianna and Ethan who were with him all the time, cousins, anything outside and his prayer time every evening. Charlie is survived by his wife, Carol of Falls City, children, Wanda Findley and her husband Charles of Russellville, KY, Tony Bentley of Fremont, NE, Sara Pfohl and her husband Jeff of Falls City, brother, Tom and his wife Donna of Falls City, sister, Dora Nussbaum and her husband Roland of Falls City, six grandchildren and three great-grandchildren. He was preceded in death by his parents, brothers, Ernest and Wayne, sister, Margaret Ingles and a son Steven. His funeral will be held on Monday, February 11, 2019 at 1:30 PM at Dorr and Clark Funeral Home with Tom Bentley officiating. Interment will be in Steele Cemetery.